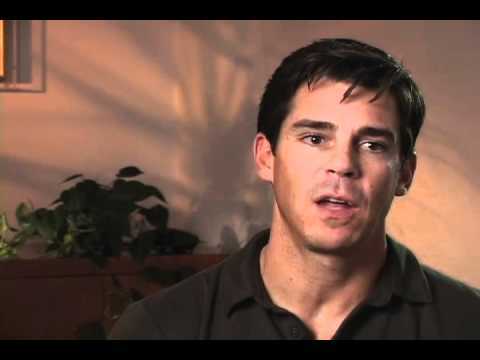 As a shirtless Little Leaguer racing around the sun-drenched diamonds of Southern California, Billy Bean imitated his childhood baseball heroes Steve Garvey and Fred Lynn as he dreamed of becoming a professional ballplayer. By virtue of a relentless work ethic, exceptional multi-sport talent, and a quick left-handed swing, Bean became one of the very few athletes to make it to the big leagues playing in the majors from 1987 to 1995 for the Detroit Tigers, Los Angeles Dodgers, and San Diego Padres. He is the only living former major league baseball player to acknowledge his homosexuality. After years of living secretly, Billy came out publicly in 1999. His story was front- page news in the New York Times, and subsequently on a nationally televised story with Diane Sawyer. Billy’s memoir, Going the Other Way, is the intimate story of a man who, in the prime of his career, faced a heartbreaking dilemma and, in time, learned to follow his own path. Billy Bean serves at MLB as Vice-President & Special Assistant to the Commissioner. As a senior advisor to Commissioner Manfred, his role focuses on baseball’s social responsibility initiatives and LGBT inclusion. Among his responsibilities, Bean works with MLB’s 30 clubs to bring awareness to all players, coaches, managers, umpires, employees, and stakeholders throughout baseball to ensure an equitable, inclusive, and supportive workplace for everyone. On July 14, 2014, Bean was announced as Major League Baseball’s first-ever Ambassador for Inclusion. He played in the Major Leagues from 1987-1995. Bean broke into the big leagues with the Detroit Tigers, and tied a major-league record with four hits in his first game. He went on to play for the Los Angeles Dodgers and the San Diego Padres. Bean was a two-time “All-America” outfielder at Loyola Marymount University before graduating with a degree in Business Administration. During the 1986 season Bean led the Lions to a midseason #1 national ranking and a berth into the College World Series in Omaha, Nebraska. Billy is a member of MLB’s Diversity and Inclusion Committee, and was instrumental in the development of MLB’s ‘Shred Hate’ bullying prevention program, a ground breaking educational youth campaign and partnership with ESPN. He is also the author of the book Going the Other Way.